One of the major hurdles faced by any major currency is acceptance. US dollars, for instance, are used profusely and are widely accepted and even recognized by other countries. All a person has to do is to either pay with it upfront or drop by the local foreign exchange. Bitcoin, however, is a different story. Bitcoin is growing by leaps and bounds on the Internet. Merchants and services open their doors, the Bitcoin price increases, and even more become interested in cryptocurrency. The trouble is that online is not only where Bitcoin should win. It should also reach success in the real world, and this can be difficult because digital currency does not have the heft of actually holding a paper note or a coin in a person’s hand. This is why Bitcoin ATMs are important. By late 2015, there are over 400 Bitcoin ATMs located worldwide, with Lamassu dominating with 28 percent of the market share. 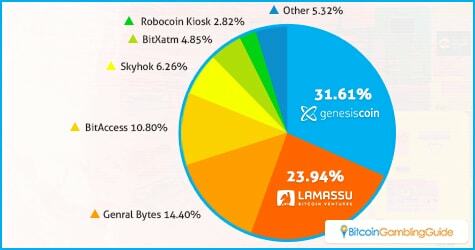 Another manufacturer, Genesis Coin, however, took the lead by mid-2016 by securing about 32 percent of the market share, followed by Lamassu, General Bytes, and BitAccess. Most of these ATMs are found in North America and Europe, although Africa and some parts of Asia already have these machines installed. There continues to be obstacles, though, and one of them is legislation. Federal and State regulations in the United States have already managed to shut down a few ATMs. This is because money transfers like the ones that ATMs do come under the strict Anti-money Laundering Laws. Another concern is security. With remote locations and the need for data transmission, many people are worried about hacking and theft. Even with these obstacles, Bitcoin ATMs provide a needed service to better spread Bitcoin acceptance. People can expect to see more of them in the future, as security protocols are strengthened and Bitcoin more accepted and understood by various sectors and industries. Back in October 2013, the first publicly available Bitcoin ATM opened for business in a downtown Vancouver coffee shop. Prototypes had been in the pipeline for months, with Lamassu’s Douro machine being first developed around February of the same year. 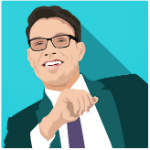 It was Robocoin, however, that managed to beat the competition to the punch with this release. In the beginning, a lot of Bitcoin ATMs were aimed at converting cash into bitcoins. People would put in their money and these would be converted to bitcoins that get deposited on the users’ wallet. This was already a step in the right direction as this allowed people to technically purchase Bitcoin without going through the stock trading-like process online in a Bitcoin exchange. The two-way transaction then became the next development of Bitcoin ATMs. Today, exchanging Bitcoin for the local currency can also be done through these machines, again highlighting efficiency and user-friendliness. Several developers like Lamassu and Instacoin have offered their own version and this functionality have become popular in the community. With these two-way Bitcoin ATMs installed in key locations in most countries today, more people are being exposed to Bitcoin and cryptocurrency, let alone the easy ways to use a Bitcoin ATM. Hundreds of these machines are in fact set up in the US, with most numbers in New York City, Chicago, Los Angeles, Detroit, and Las Vegas. 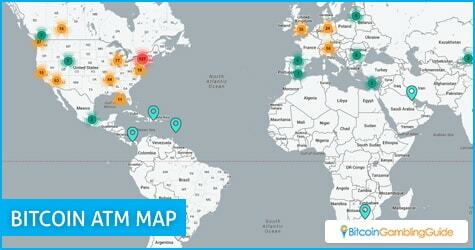 These figures will continue to rise as several Bitcoin ATMs were installed this month alone. With the said functionality already being proven effective, these Bitcoin ATMs will one day serve another purpose. How they will be used in the future presents various possibilities. But for now, their main purpose is to engage more individuals through the convenient processes of buying and selling Bitcoin.